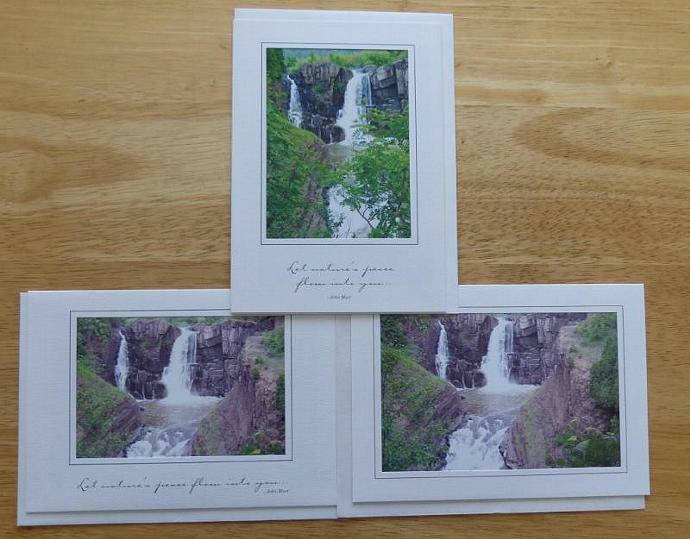 This is a collection of Grand Portage State Park images taken by me. The cards are 5 x 7 inches and are made of recycled card stock, including the matching envelope. The card is printed with environmentally friendly soybean based inks. The inside is blank allowing you to write your own personal message. The photos are all my original photography and are mounted and framed inside the card which makes a perfect mat for framing in any standard 5 x 7 inch frame. 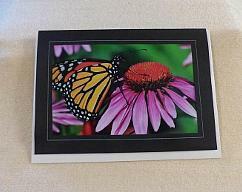 All photos are professionally printed on quality photo paper. I retain all rights to the photography. This collection of 3 cards sells for $10.00 plus $4.00 for shipping to the United States only. They will be enclosed in a clear plastic sleeve and packaged to protect from damage. 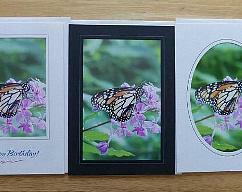 Custom cards can be created using any of the photos paired with any available card stock. Many other photos and many other styles of cards are also available. Please review my shop policies before placing your order. Returns cannot be accepted. Thanks for looking!